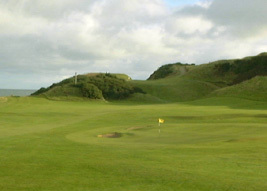 Ballycastle Golf Club is an 18 hole par 71 championship links & parkland golf course that plays off 5,927 yards from the back markers. 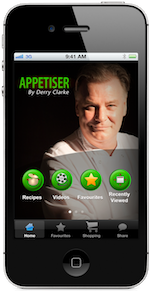 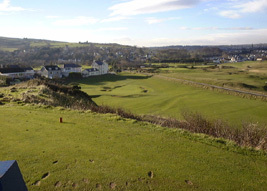 Situated on the beautiful North Antrim coast of Northern Ireland between the world famous Causeway coast and the Glens of Antrim. 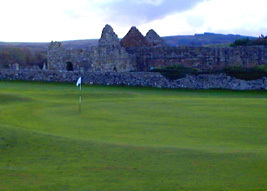 The first five holes of the course are on diverse parkland along the banks of the Margy and Carey Rivers and bordering the ruins of the 12th century Bonamargy Abbey. 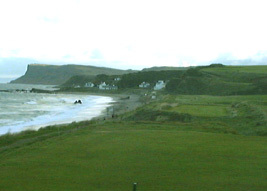 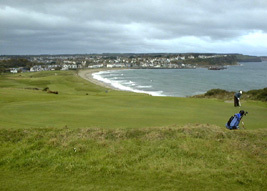 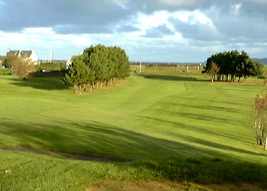 The rest of the course runs alongside the beach before rising to the "top holes" with panoramic views including the Mull of Kintyre, Rathlin Island and Ballycastle Bay.